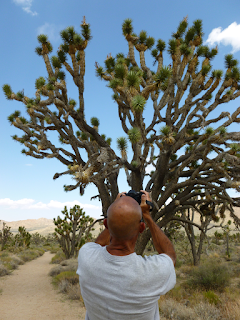 California's desert wildlands are among its greatest treasures. And Californians have long fought to keep them that way. Minerva Hoyt of Pasadena worked for years in the early 1900s to call attention to the destruction of California's desert, and eventually secured the designation of what was then Joshua Tree National Monument. As urban sprawl, off-highway vehicle use and military base expansions continued to fragment the state's desert wildlands, the public urged more action. In 1976, Congress established the California Desert Conservation Area in an attempt to better manage public lands in southern California. That didn't quite satisfy Californians, as threats continued to eat away at one of the largest intact ecosystems in the continental United States. 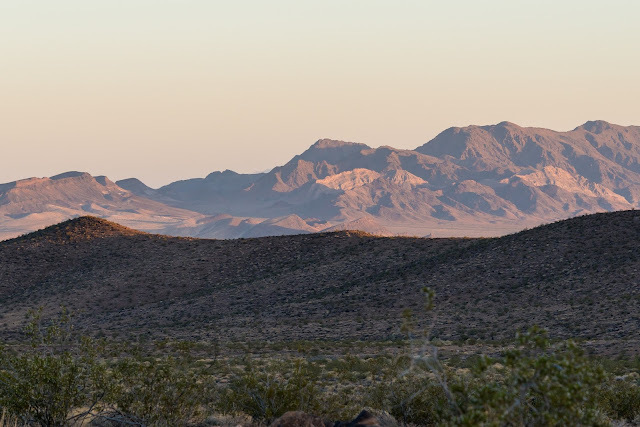 Senator Alan Cranston in the 1980s fought the Reagan administration to protect California's desert and sought additional protections. Cranston handed off the effort to Senator Feinstein, who championed the establishment of desert national parks and wilderness in 1994. 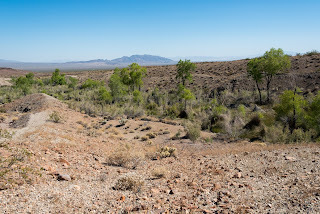 President Obama in 2015, at the urging of many Californians, established three national monuments in the California desert to prevent the industrial exploitation of natural wonders and historic landscapes. 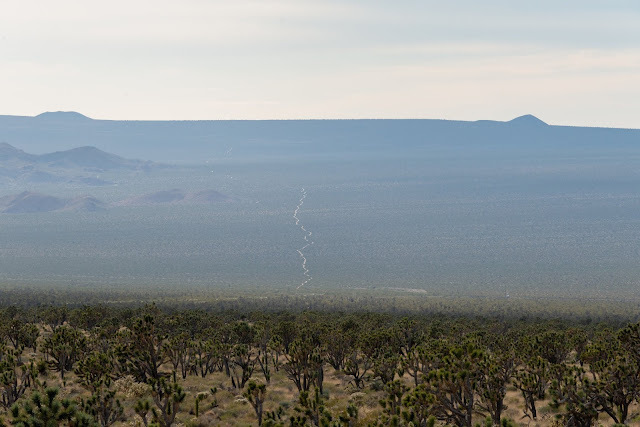 One of those monuments is Mojave Trails. Trump is attempting to chip away at these protected lands to allow industry access for mines and, as you know, the Cadiz water scheme. 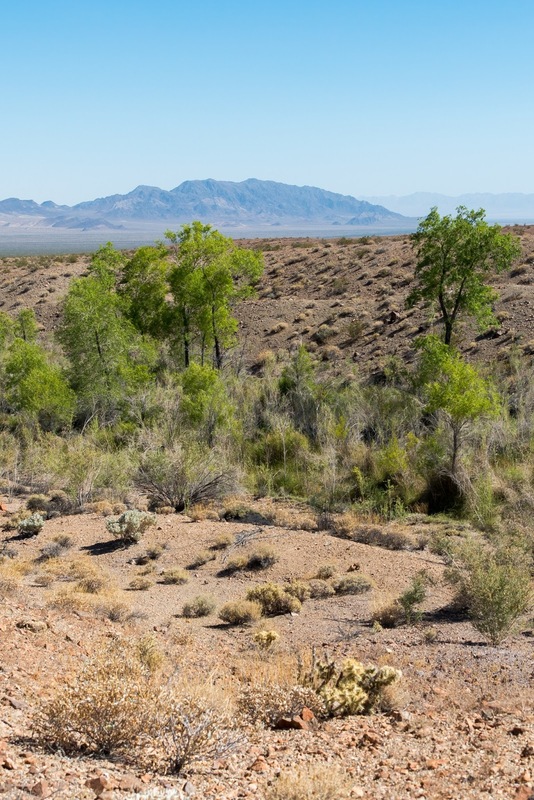 It is no coincidence that Trump is considering cutting the southern portion of Mojave Trails near Cadiz Inc.'s property, almost certainly to ease the way for its water pumping project. Trump has already rolled back environmental regulations that would have required Federal scrutiny of Cadiz's plans to pump 16 billion gallons of water a year from under the monument. Trump's pick for the Deputy Secretary of Interior, David Bernhardt, has close ties to Cadiz and has done legal work for the company. Bernhardt is now approving the rollback of other environmental protections nationwide. The Trump administration simply cannot be trusted to make wise, science-based decisions regarding the future of public lands in California. 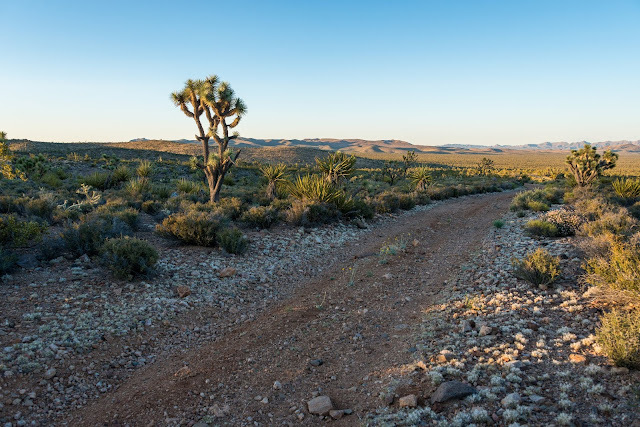 A map submitted to the Trump administration by Congressman Paul Cook recommending the removal of a large swath of Mojave Trails National Monument. It is probably no coincidence that this portion of the monument stands in the way of Cadiz Inc.'s pipeline. Assembly Bill 1000 is common sense water policy. It gives California's agencies a chance to ensure that any groundwater pumping would not unduly harm natural springs. The only environmental review done so far was approved by San Bernardino County, and pushed by county upervisors that received donations from Cadiz. 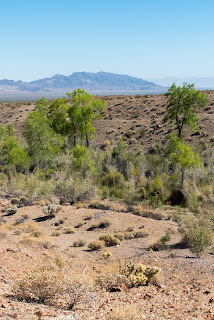 The review dismissed strong research by independent and Federal government water experts that indicate Cadiz's estimate of water recharge in the basin is highly exaggerated. Instead, the environmental review relied primarily on results from contractors paid by Cadiz. 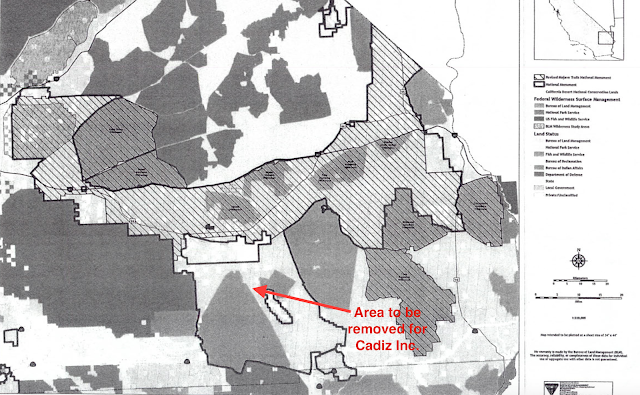 Cadiz will privatize water resources that underlie vast tracts of public lands in California. Another way for industry to profit from, and destroy our wildlands. Ultimately, when Cadiz pumps too much water from the desert, many natural springs will dry up. This happens throughout the southwest when groundwater pumping lowers the water table, and it will happen in the Mojave if we blindly accept Cadiz's inflated studies. And with those springs will vanish the wildlife that depend upon them for survival. When that happens we will remember not only Trump's dismantling of the environment, but also those that aided him. Please do the right thing for California and allow a vote on Assembly Bill 1000.